Do You Buy Clothes that Are Built to Last? Many people buy clothes according to the price tag as well as the design. However as this article shows, the quality is an essential aspect you should always consider as well. A careful purchase could give years of good use. How do you choose the clothes you buy? There are many ways to do it when you think about it. For example you might choose your clothes depending on the price tag. Looking for bargains is something most of us do from time to time at the very least, and if you know where to go you can get some amazing deals. The first thing you should be aware of is that it is very often worth focusing on quality rather than quantity. We’ve all heard this type of saying before but in reality it is popular because there is a lot of truth in it. For example you can buy half a dozen cheap t-shirts for the same price as perhaps one or two decent quality ones. However while the cheap ones might seem to provide you with a better deal, this may not be the case. Very often cheap materials will shrink in the wash and fade far more quickly as well. This is unlikely to be the case with regard to quality items made from higher quality materials. Of course there are ways to bring down the cost of quality items when you do go shopping for them. For example let’s suppose you want to buy a Hatley raincoat for your child. When you go shopping you should compare the different outlets that stock it so you can see who is selling it for the cheapest price. 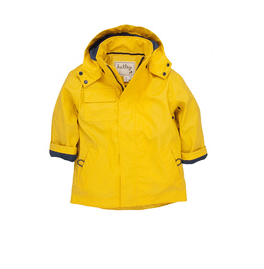 Very often different outlets will run special deals so you might see the exact same Hatley raincoat in one outlet and yet find it is cheaper than offered elsewhere. You can find other examples of this occurring in online stores as well. Getting used to shopping around, whatever you might be buying, is a very good move if you want to get good quality clothing at the best possible price. We have already focused on the potential for cheaper items to fade and shrink. However there is also the likelihood that they will not last as long. Although you may spend more on a good quality item its longer lasting lifespan means those cheaper alternatives may not be as cheap after all. Very often you will find you have to replace them a lot more frequently – and that means spending more money in the long run in some cases. If you can’t quite get rid of the habit of buying clothes as cheaply as possible, try this test. The next time you need a particular item of clothing, look for a good quality option. See how long it lasts and how much better it is as a result. Once you have proved beyond doubt that quality has a lot more going for it, you will be more confident about switching to this way of buying clothes with every other item you need as well. As you can see, quality really does rank more highly over quantity. Once you understand this way of approaching your shopping trips, you will find it far easier to get whatever you need. « What Is Organic Farming And How Is It Different From Regular Farming?